Theatre – Thriving or Merely Surviving? If you ever loiter around the National Theatre Hall of the Bangladesh Shilpakala Academy, you'll be impressed with the vibrancy of the audiences and theatre activists surrounding the performance of a play. After watching the play, you'll also get an idea about the amount of work that has gone before, such as direction, hectic rehearsal, music composition, costume, set and light designing. But if you ponder over what they get in return for their hard work, you'll be taken by surprise. At best, they receive one or two calls from a TV producer or director and get a role in one of those numerous serials or single-episode dramas. Of course, some of them do climb up the ladder of a shining career on TV whereas most others juggle between theatre and package dramas to make ends meet. These days, winning a role in a TV play depends more on how many times someone has modelled or participated in beauty pageants. Or for that matter one just needs nothing more than the ability to stand before the camera and talk. They call it impromptu acting (that is, without following any script) where quality can be compromised either for mundane pleasures or for eccentricity. Little wonder then that many has predicted the demise of theatre against the backdrop of burgeoning satellite TV industry as the prime source of mass entertainment. However, theatre practice in the country is on the rise, despite the aggressive infiltration of electronic media in every sphere of life. More and more devoted, aspiring actors are getting involved in the theatre movement. But the reality of a theatre without proper patronisation leaves a good number of talented actors nipped in the bud. Those who stick to it out of commitment cannot give their best for the same reasons. In fact, stage actors and directors in our country do not want to make a quick buck out of theatre. All they want is proper patronisation so that they can continue their crusade against social discrimination through their plays without having to think of who's going to provide the production cost of a play, leave alone the remuneration for individual performers. Faced with such issues, theatre personalities, whether veteran or young, unanimously voice the urgency of developing professionalism in theatre. Jhuna Chowdhury, the general secretary of Bangladesh Group Theatre Federation (BGTF), says that theatre practice in most developed countries has taken on professionalism whereas in our country we are still struggling only with the group theatre movement. “What is group theatre anyway? It's like working for a cause spending money out of your own pocket. So I think the time has come for us to initiate professionalism in theatre, otherwise we cannot possibly hope to sustain this form as effectively as we envision,” he says. Mamunur Rashid, the founding member of Aranyak, first formed Bangla Theatre with a view to initiating professionalism in the form of repertory theatre. Then there were Gazi Rakayet, Ashish Khandakar, Afsana Mimi and Azad Abul Kalam, among others, who formed Nandan, another repertory. While the former still sustains, the latter disbanded years ago. Very recently Hasan Shahriar, also editor of the only theatre magazine Theatrewala, formed Theatrewala Repertory to continue the mission. 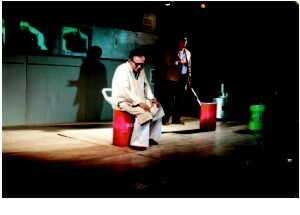 Although Jhuna Chowdhury vaguely implied the co-existence of group and professional theatres, Shahriar vigorously voices a healthy co-existence of both. “Both have to exist because a repertory cannot operate without the help of troupes. 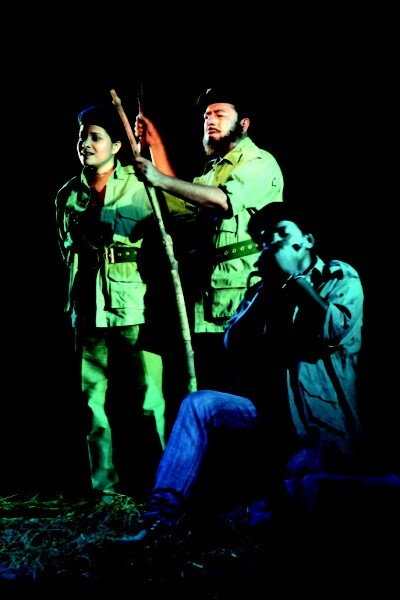 How would the owner of a repertory ever know about a good performer if there is no group theatre movement?” Shahriar, however, cautions about the monetary aspect saying that it can never be the bread and butter of a person unless the government comes up with a well planned budget for this. 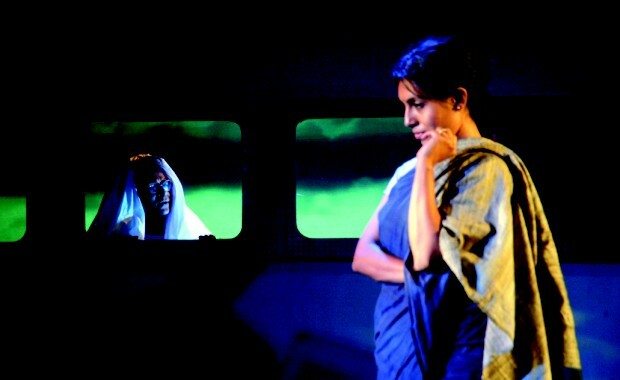 “In India, the government allocates a hectic amount for several theatre troupes. In most developed countries, the government support is even stronger. So we also need proper patronis-ation both from private and government funds to strengthen repertory theatre,” says Shahriar. He also admits the urgency of building more and more auditoriums. Very recently the ministry of cultural affairs in an unprecedented move has disbursed a hefty amount among some cultural and theatre bodies, especially among BGTF and International Theatre Institute (ITI). The BGTF has received about 65 lakh taka which it is supposed to spend within four months. While everyone in the field has welcomed the initiative, many believe that such a strict time frame will not contribute to strengthening the infrastructure. “Of course, we are thankful to the government but the fund should have been allocated in a more planned and organised way. This hastiness will seriously affect the quality,” says Chowdhury. He also insists on private funding. “I think real estate companies can help us immensely. If they incorporate an auditorium in some of their multi-storied buildings based in different locations, then may be a Mirpur or Uttara resident won't have to come all the way to Shilpakala to enjoy a play. In this regard, we strongly criticise the giant mobile phone companies which are never interested in patronising us, but are always ready to pay enormous amounts to buttress underground music. If the government as well as the private sectors come forward, I believe both group and professional theatre will see a boost in this country,” he adds.